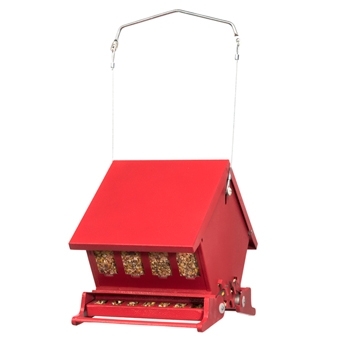 The Mini Absolute 2™ Bird Feeder has a metal roof that locks securely to keep those pesky squirrels out of the hopper. Includes heavy-duty hanger. Easy to fill and clean. Made from powder coated steel for durability.